World's Largest Gummy Bear - What's Goin' On In The Kitchen? 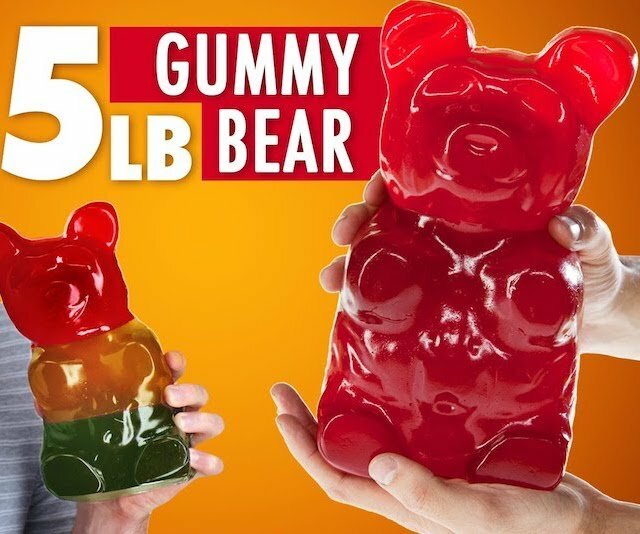 This whopping sweetie is The World’s Largest Gummy Bear. Weighing in at over 5 pounds, this gentle giant will keep your sweet obsessions going for weeks. We challenge you to be able to complete this huge beast in just one sitting! If you manage this then you will probably be the world’ largest gummy bear fan. Literally!